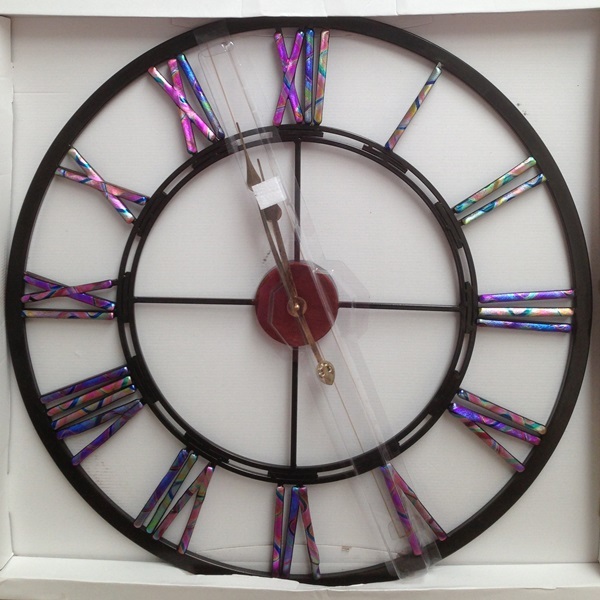 **Please note that our clocks are made to order and will take approx. 2 weeks. A stunning centre piece for any room. 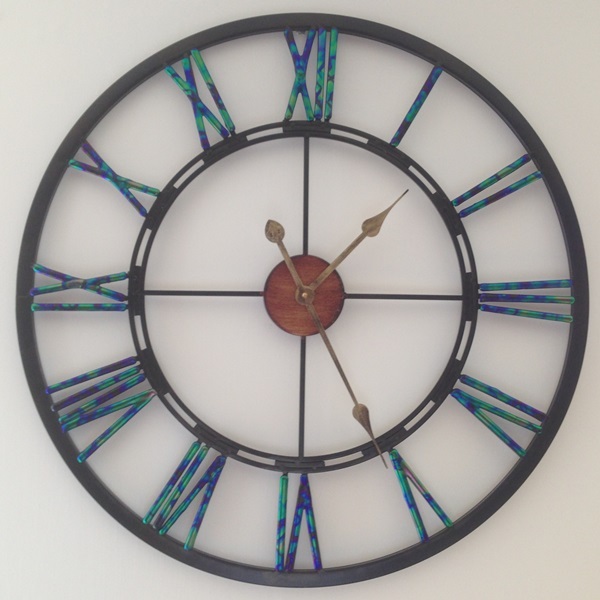 Beautiful, bespoke black wrought iron clock covered in dichroic glass. Not the colour you want? That’s not a problem. Choose the colour you would like and e-mail enquiries@blissimoredesigns.com alternatively call Caroline to discuss your requirements.